This one base cabinet pullout organizes knifes, utensils, bowls and even small appliances. Tiered drawers store double of whatever you want, whether kitchen cutlery (as shown) or arts and craft supplies or beauty products. 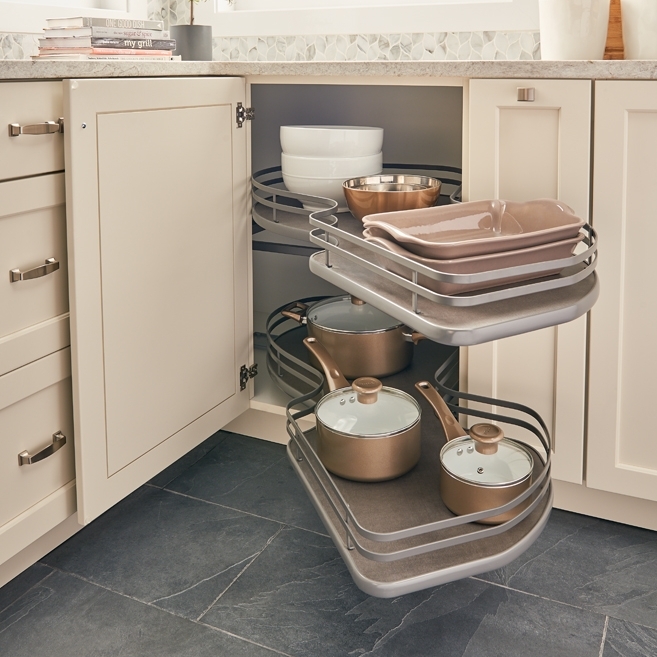 Installing a pullout organizer that maximizes as much space as possible with a shape designed specially for blind corner cabinets. Unless your fridge goes all the way to the ceiling, a pullout organizer brings all your items out in one easy movement. Works over double stoves, too! Optimize these awkward corners with a pullout designed specifically for them. Single-tier options are only available through Rev-A-Shelf! From fine china, to pots/pans, to daily kitchen ware, a pegboard system is where you never have to worry about the size of your sets anymore. 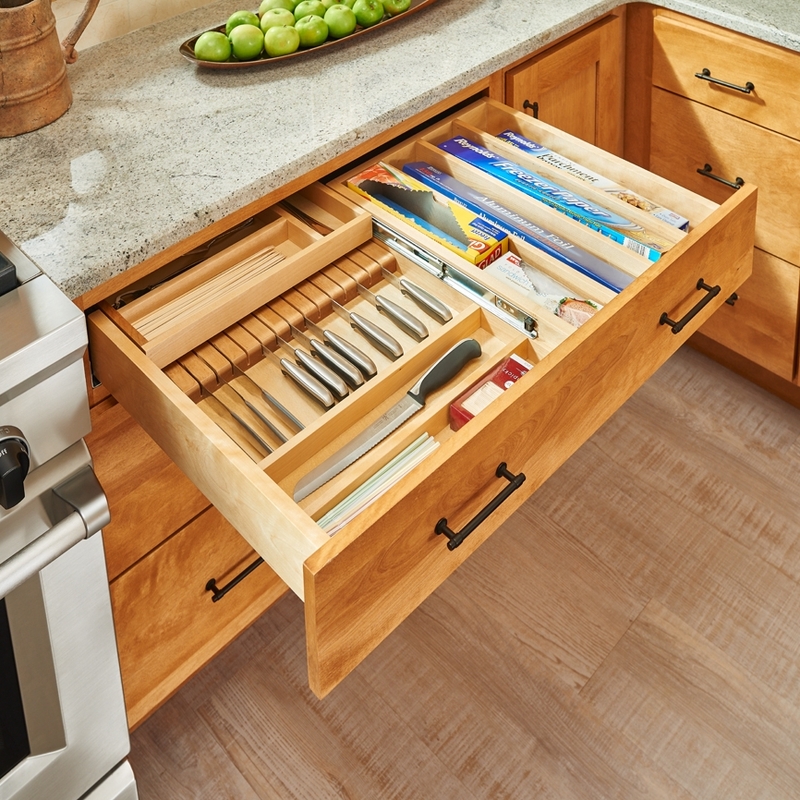 Find a trim to fit solution and you could deck out every drawer you have with one!